Princeton Unified School District values and appreciates the support it receives from our generous donors! If you would like to donate money or services to the district, please contact the District Office or email ypolanco@glenncoe.org. If you would like to donate money or services to a school or classroom of your choice, please contact the school principal or classroom teacher. 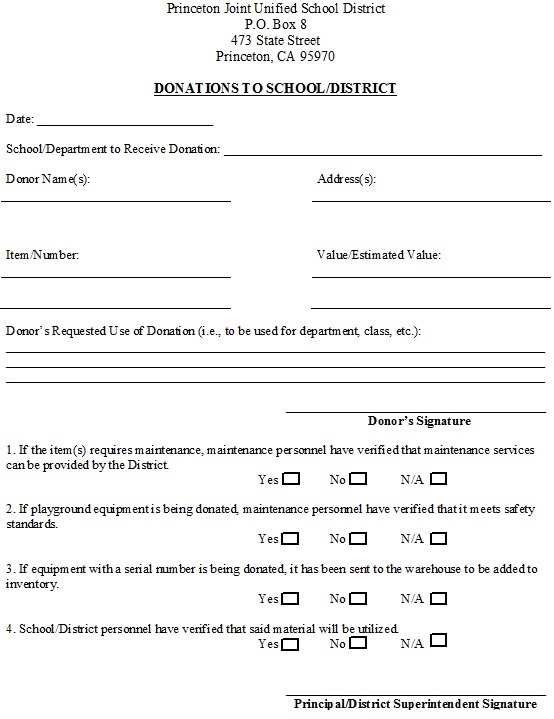 All donors must fill out the form below. Please click on the image to view it as a PDF.